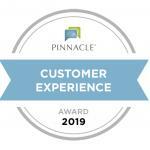 THERMOPOLIS REHABILITATION AND WELLNESS IS A PROUD RECIPIENT OF THE 2019 PINNACLE CUSTOMER EXPERIENCE AWARD, RANKING IN THE TOP 15% OF LONG-TERM AND POST-ACUTE CARE PROVIDERS NATIONWIDE. THIS AWARD DEMONSTRATES TO CURRENT AND FUTURE RESIDENTS OUR CONTINUED DEDICATION TO PROVIDING THE VERY BEST HEALTHCARE SERVICES AVAILABLE. Here at Thermopolis Rehabilitation, we are focused on promoting health and improving quality of life. Through a full spectrum of highly-skilled nursing care, physician driven programs, and specialty services, our patients and families receive complete and comprehensive care. Whether you are in need of short-term rehabilitation or long-term care, we want to empower you to meet your goals and regain your quality of life. Nestled in one of Thermopolis’ quiet residential neighborhoods, our patients benefit from a full range of post-acute rehabilitation services including physical therapy, occupational therapy, and speech language pathology.